Rolling into the East Boise Point of Entry weigh station on January 24, Denis Palamarchuck’s tractor-trailer was stopped by an Idaho state trooper to conduct a routine inspection. The truck’s bill of lading listed the goods being hauled as hemp. “However, the trooper’s training and experience made him suspicious that the cargo was in fact marijuana, not industrial hemp,” the Idaho State Police wrote in a news release. 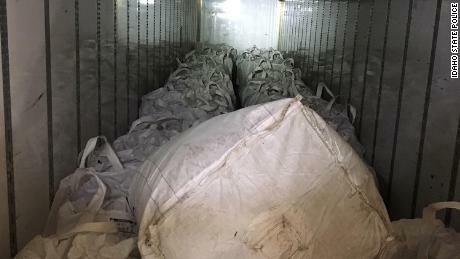 The officer opened up one of the 31 shipping bags in the rig and, using a Narcotic Identification Kit, tested a sample that came back positive for THC, the mind-altering chemical in marijuana. A drug-sniffing canine also “demonstrated a positive alert on the cargo,” state police said. Court records indicate Palamarchuck spent four days in jail after the arrest. Jim Ball, Palamarchuck’s attorney, told CNN his client was released after posting a $100,000 bond. Idaho’s mandatory minimum laws dictate that because he was carrying more than 25 pounds of what Idaho deems is “marijuana,” the truck driver — if found guilty — will serve at least five years in prison and pay a minimum $15,000 fine. Except hemp is legal nationwide. Marijuana and hemp are both different varieties of the same plant, Cannabis sativa L. For centuries, hemp has been transformed into a number of products: rope, building materials, clothes, shampoo, food, even beer. There’s no way to visibly discern a hemp plant from a marijuana plant. And for decades, states like Idaho and the federal government treated hemp just like any other cannabis plant. Hemp, unlike marijuana, can’t get you high: marijuana is high in THC; hemp has extremely low levels of it. Federal law defines industrial hemp as containing less than .3% THC. The 2018 Farm Bill made industrial hemp and all of its byproducts legal. A DEA spokesperson tells CNN that includes cannabidiol, or CBD, derived from industrial hemp. CBD is making hemp a potentially huge cash crop because some believe it can help with anxiety, arthritis, stress and other conditions. The Food and Drug Administration has approved only one CBD-containing drug, Epidiolex, which is used to treat rare, severe forms of epilepsy. CBD derived from marijuana plants, like marijuana itself, remains a Schedule I drug. The CBD is why Colorado-based Big Sky Scientific is suing for its hemp back. The company was set up three days before the Farm Bill was signed into law specifically to capitalize on the newly legal hemp and CBD industry. The company says on its website it buys “hemp that’s rich in CBD” from farmers, sends it to processers to make CBD powder, and then sells that to product manufacturers. And in the lawsuit, that’s what Big Sky Scientific says it did — it bought about 13,000 pounds of industrial hemp from Boones Ferry Berry Farms in Hubbard, Oregon. According to the lawsuit, the farm is licensed with the Oregon Department of Agriculture as a registered industrial hemp grower. The company said it tested 19 different samples from that farm’s hemp crop on January 17, and their THC level was .043% — lower than the federal legal limit of .3%. But the Idaho State Police says it did right by state law, and technically, it did. The routine inspection, the field drug test, the canine test were all done by the book. 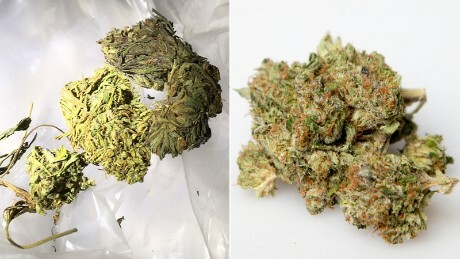 Tests like the one conducted on the hemp Palamarchuck was transporting cannot tell the difference between hemp and marijuana. 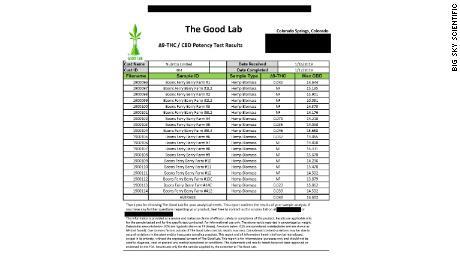 The Idaho State Police says their analyses, and canine units, can only test for the presence of THC — not the concentration. 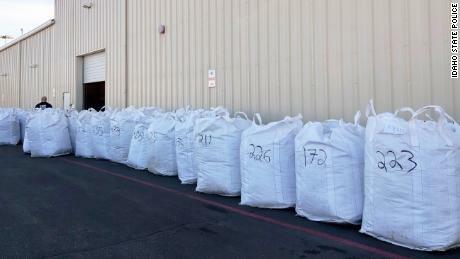 The agency has since sent a sample of the hemp seized to a lab to test how much THC it contains. But Big Sky Scientific attorney Elijah Watkins says that federal law, and the Constitution, supersede Idaho’s laws. Big Sky Scientific says that not only is Idaho violating the 2018 Farm Bill, but also the Commerce Clause in the US Constitution, which says that states cannot prohibit legal goods in one state from being transported through it to another state. The Ada County Prosecutor’s Office, which — like the Idaho State Police — is being sued by Big Sky Scientific, refused to comment on that lawsuit and on the charges brought against Palamarchuck. But in a letter responding to the lawsuit, Ada County Prosecuting Attorney Jan Bennetts says the company’s arguments are flawed; Oregon, where the hemp was grown and shipped from, does not have a federally approved plan to monitor and regulate the production of hemp in the state, as required by the 2018 Farm Bill. Responding to CNN about the lawsuit, Idaho State Police reiterates that Idaho law says any substance containing any amount of THC is illegal in the state. “Idaho State Police troopers will continue to aggressively enforce Idaho laws,” Idaho State Police public information officer Timothy Marsano told CNN. Nine states, according to the National Conference of State Legislatures, still do not allow hemp cultivation under any circumstances: Idaho, South Dakota, Iowa, Texas, Louisiana, Mississippi, Georgia, Ohio and Connecticut. Many other states only allow pilot programs or are just making forays into allowing hemp cultivation. Four states — Idaho, South Dakota, Nebraska and Kansas — still prohibit hemp-derived CBD. This case, should it be decided in Big Sky Scientific’s favor, could forcibly change that. But time is running out for Big Sky Scientific’s hemp; it says in its lawsuit that it’s perishable and that mold can form without proper airflow to the plants. Time for Denis Palamarchuck is at a standstill. He’s caught in the middle of it all, and his fate, freedom and future remain uncertain. “It looks like Denis unknowingly drove his truck into a fight between the State of Idaho and the federal government regarding the legality of industrial hemp,” Ball said. A previous version of this story mischaracterized investors in Big Sky Scientific. The company’s attorney says none had previously been in the marijuana business.